Over the last few months my heart has been burdened by the pendulum swing that has happened in American church culture. As I talk to friends in ministry and pastors across the country, churches have become a great place of entertainment. Churches all over the country provide a great Sunday morning experience with an impressive light show, worship like a concert, and professional audio/video work. Don’t get me wrong, I am all about valuing excellence and having an incredible place that helps reach people who don’t know Christ. I think having a relevant environment to reach the lost is a must, as many churches have become stale museums about to close the doors. Don’t get me wrong, the gospel must not be watered down or compromised, but we need to be relevant to the culture we are in. I get it. I am with you. But to what extent? Have we put so much time, energy, and resources into the coolest set design, lighting equipment, and production that we miss the mark with people? Do we spend more time on programming than investing into people? I gave my life to Christ when I was 14 years old. I immediately became involved in everything possible at church. I went to the camps and retreats. I remember having a great time at different events at the church and the lives of many being changed. But you know what? I couldn’t tell you what the set design was like. I couldn’t tell you the name of the coolest series or theme of the best summer camp. But you know what I do remember? The people that invested into my life. People are greater than programs. If we miss this concept, we miss the entire mission of the church. Churches have become really good at producing and creating more and more programs. We have a program for this and a program for that. As a result, we create things that people can come to and more things for people to do. As a result we have placed discipleship equating to a busy schedule of coming to things at church. That wasn’t the mission Jesus modeled. Jesus didn’t set up fancy tabernacles with hazers, a rocking band, and high tech AV equipment. He didn’t call people to more and more programs at the church. He loved on people in their context of life. He poured into their lives no matter what the circumstances. He loved them at the dinner table. He loved them in the streets. It wasn’t about programs, it was about people. He cared more about a relationship with them then a performance. Everything we do must flow from this principle. As we plan our Sunday morning gatherings, broken people must be at the forefront of our minds. As we look to how we plan camps and retreats, are we engaging students beyond the “spiritual high” of the program? Are your small group leaders discipling students or simple asking a few questions in their time together? These are questions we should be asking ourselves. Are you investing into people more than programming? 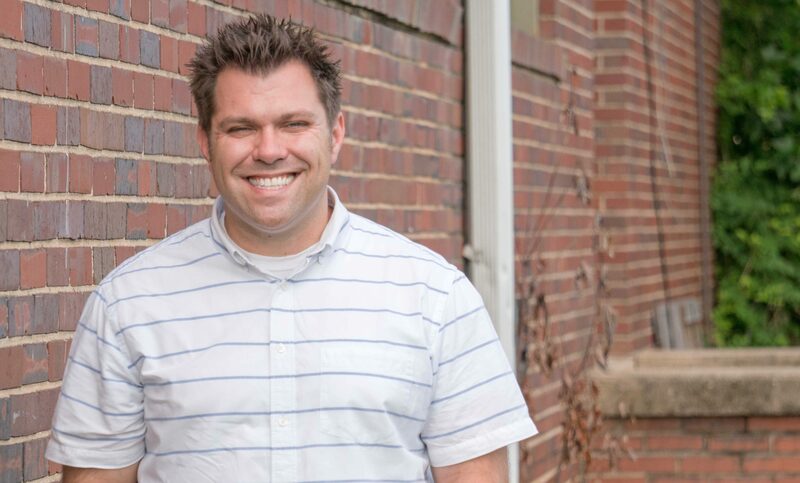 Dustin Dozier is currently the Campus Pastor for the Five Forks campus of First Baptist Simpsonville. He is a father, husband, and a passionate leader and influencer for Christ and His kingdom.